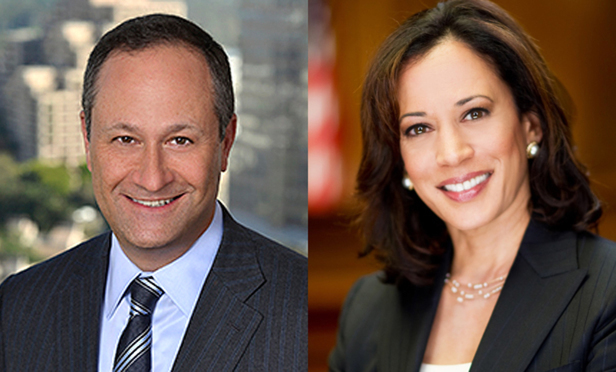 Washington, Sep 7 (IANS) California’s top law officer Indian-American Kamala Harris, whom President Barack Obama last year called “by far the best-looking attorney general,” to cause a stir has married lawyer Douglas Emhoff. Maya Harris, sister of the bride, presided over the Aug 22 marriage ceremony in the Santa Barbara courthouse as a cellist played in the courtroom, according to a report in San Francisco Gate. Born in Oakland, California, Harris is the daughter of an Indian mother, Dr. Shyamala Gopalan, a breast cancer specialist who emigrated from Chennai in 1960, and a Jamaican American father, Stanford University economics professor Donald Harris. In keeping with the bride’s heritage, a flowered garland was placed around the groom’s neck and in keeping with the groom’s heritage, the ceremony ended with the breaking of a glass, the SF Gate said. The bride and groom wrote their own vows, with the help of Harris. Obama had later called long time friend Harris to apologise for saying: “She’s brilliant and she’s dedicated, she’s toughShe also happens to be, by far, the best-looking attorney general … It’s true! C’mon.” Harris graciously accepted the President’s apology. It is the first marriage for Harris, 49, the first woman, the first African American, and the first Asian American attorney general in California. Emhoff, 49, was previously divorced, and has two children, one in college and one in high school, according to The Sacramento Bee. The Harris sisters grew up in a household that combined Hindu and Baptist teachings, and were raised in Berkeley, Oakland, and Montreal, where their mother took a position doing research at the Jewish General Hospital and teaching at McGill University. Kamala Harris attended Howard University in Washington, DC, and received her Juris Doctor (JD) from University of California, Hastings College of the Law in 1989. She was admitted to the California bar in 1990.